"Hera, give me strength!" 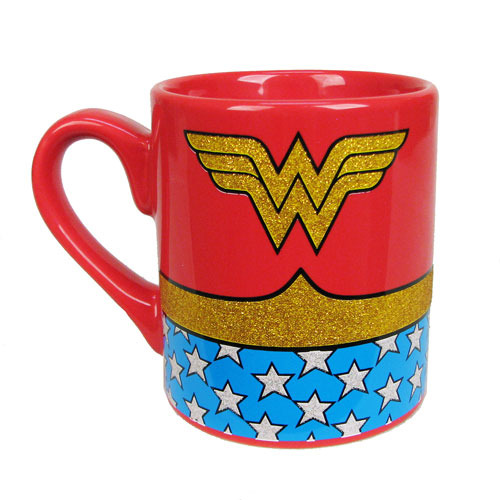 This Wonder Woman Uniform Glitter 14 oz. Ceramic Mug features the Amazon princess' vintage uniform with glitter on the stars, belt, and logo. Ceramic mug holds up to 14 ounces of liquid. Hand wash only. Not dishwasher safe. Do not microwave. Ages 12 and up.